Purveyors of replica Chanel goods sell poor quality products. You might think you are getting a good deal, but what you are buying will not be anywhere near the level of quality of an authentic Chanel item. Moreover, when the product you purchase quickly starts to break, rip, fade or just fall apart, there will be no one standing behind the product to guarantee your purchase. Chanel stands behind the genuine Chanel products it sells. Replica Chanel sellers do not pay taxes, leading to millions of dollars in lost revenues which would otherwise go to cities and states from the sale of legitimate goods. Since selling replica Chanel products is itself illegal, it is common for replica Chanel sellers to engage in other unlawful conduct, such as identity theft. Also, such sellers often simply do not deliver goods that have been paid for. Some sellers of replica Chanel products may even be part of organized crime networks or terrorist groups, which use profits from the sale of replicas to finance their criminal activities. Chanel cannot provide exact details describing how to differentiate genuine Chanel products from replicas, because, unfortunately, that information would be used by counterfeiters to further mislead consumers. 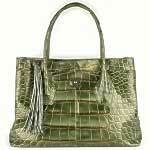 However, you can protect yourself from unscrupulous sellers by using caution and common sense. For example, if a product bearing the Chanel name or CC monogram is advertised as being of “AAA” or “7 star” quality, the product is most likely fake and illegal. Above all, if a Chanel handbag deal is too good to be true, you are probably being sold a replica handbag. The only way to be certain you are buying a real Chanel product is to buy it from a Chanel boutique or an authorized Chanel retailer. When you buy from an unauthorized dealer, you could be buying a counterfeit. As much as Chanel would like to help the victims of counterfeiting, Chanel cannot get back money paid to a counterfeiter or to repair counterfeit products. 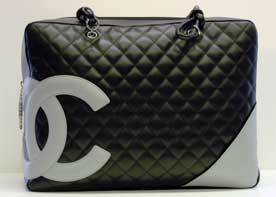 However, Chanel regularly investigates and sues counterfeit product sellers. In this way, Chanel is helping existing and future victims of counterfeiting.